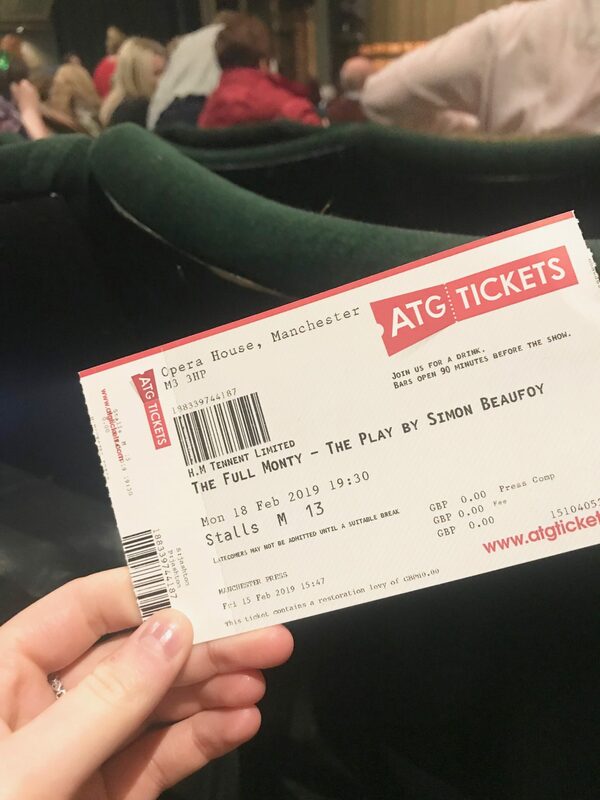 Earlier this week I headed across to Manchester with my Mum to see the touring production of The Full Monty at the Manchester Opera House. SPOILER ALERT- They did not leave their hats on! We were kindly gifted the tickets for the opening night in Manchester and were thoroughly impressed with the show. Thanks to WeBlogNorth for organising! As it’s a touring production it’s going to be visiting plenty of venues across the UK, so you can keep an eye out for tickets! The story as you may, or may not know, is set in Sheffield at the height of de-industrialisation, when the Steel works had been closed and unemployment was sky high. 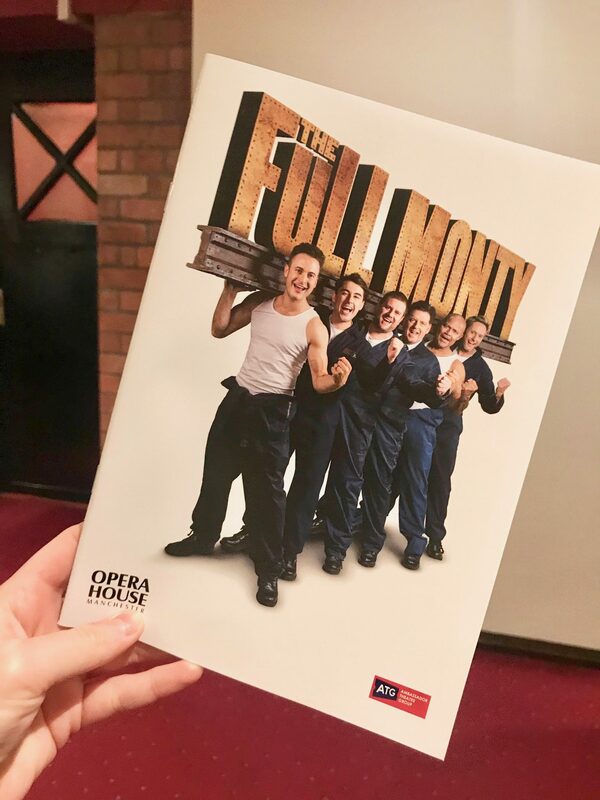 The Full Monty sheds a light on what life could be like for skilled workers who were left out of work and desperate to make ends meet. As a Sheffielder it was great to hear reference to Sheffield areas, landmarks and local slang. I’m sure many people who will catch the show on it’s tour will be left wondering what the hell they’re talking about at times. However we understood exactly why Gaz and Dave would have struggled to lug a steel girder all the way down Penistone Road. The Sheffield accent can be hard to interpret sometimes, especially those from working class backgrounds, however once you know your thees and nah then’s, you soon pick up all our flat vowels. 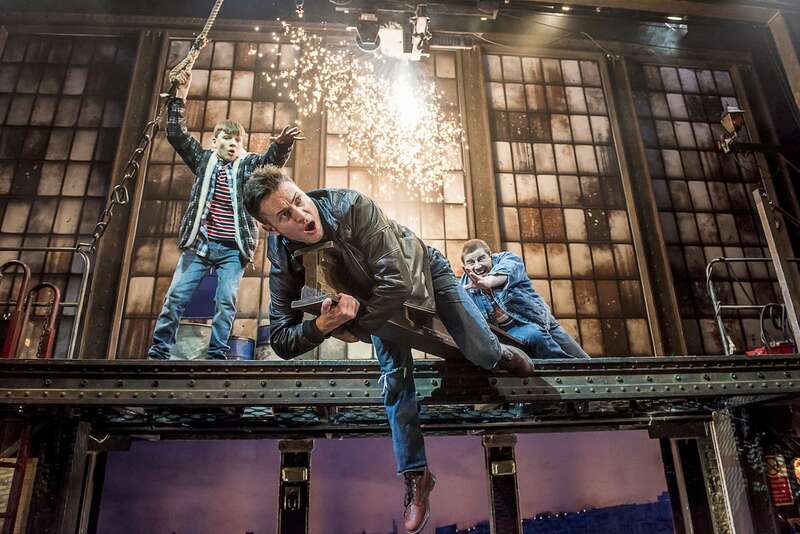 The show follows Gaz (played by Hollyoaks star, Gary Lucy) and his friends from the job club as they try their hand at becoming male strippers to entertain the local ladies at the Burngreave Working Men’s Club. The screenplay was very similar to the film we all know and love so it was an absolute hit in my eyes. There was of course THAT SCENE in the dole office which had the audience in absolute hysterics. The soundtrack, including the likes of Hot Stuff and Leave Your Hat On remains the same. Even the transitions between scenes as they altered the set featured some of Sheffield’s finest music. The main thing I took away was how funny the show was. It perfectly highlighted Sheffield’s typical self deprecating humour that us locals know and love. If you can’t laugh at yourself in Sheffield you’ll end up taking offence to most people- best not to take yourself too seriously. It’s a charming story that only works because it’s up North. Now the thing I’m sure you’re most interested in, the final performance. 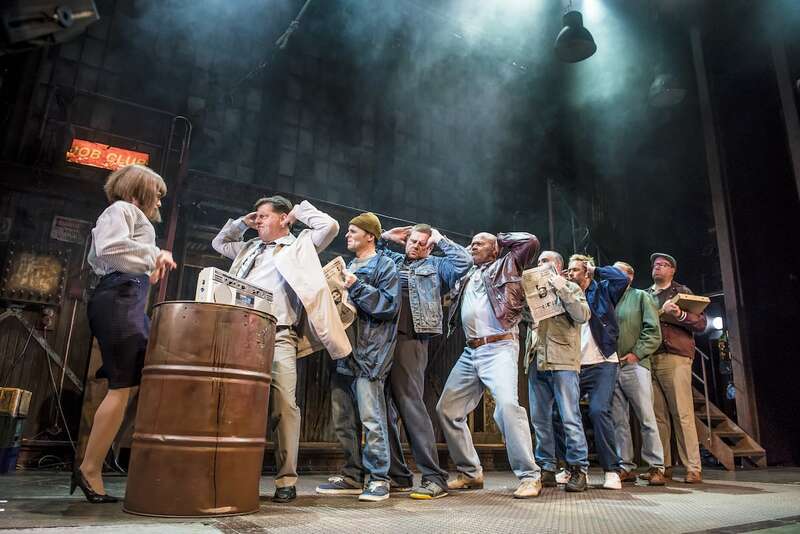 For one night only the lads perform the act for the ladies of Sheffield (and Manchester) and go The Full Monty. The dancing is hysterical, it’s identical to the film and as I mentioned before, they do not leave their hats on. Luckily the lighting team have got them covered incase you’re taking an under 18 or someone of a sensitive disposition! That being said I really wouldn’t recommend bringing anybody under the age of 15 to the show, as funny as it is, it’s very sweary and basically just inappropriate for anybody younger. So all in all, a hilarious grown ups night out which I would highly recommend! 10/10!